The Big Color Dance, Calling For Artists! 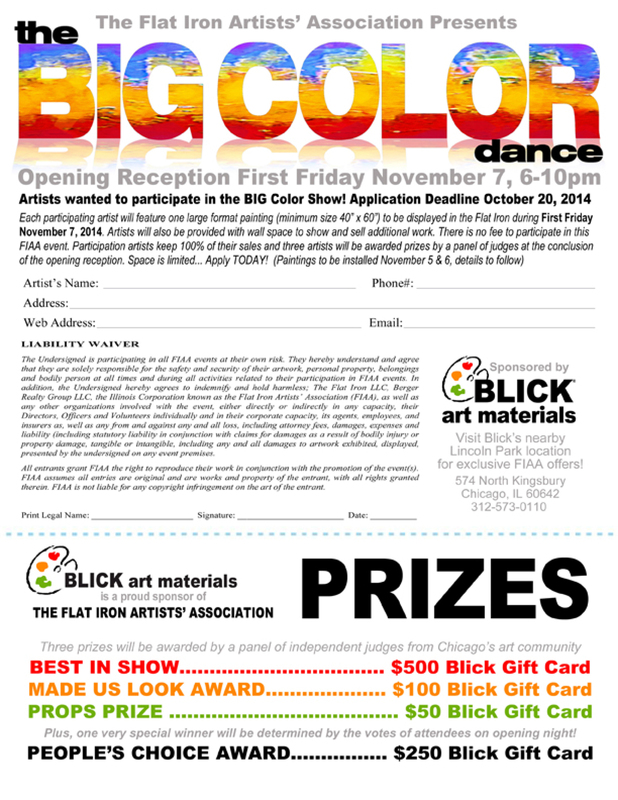 The Flat Iron Artists Association is looking for artists to participate in the First Friday art show, The Big Color Dance. The art work must be 40″ x 60″ and completed within the last two years. For more information please contact Kevin Lahvic at kevinlahvic@me.com or Charlie Rees at charlie@charliereesart.com. There is no fee to participate and there are prizes for winners. Please look at the application and contact us. We are always looking for good artists to participate in our First Friday events. Previous Previous post: Two Good Artists at the Coyote.